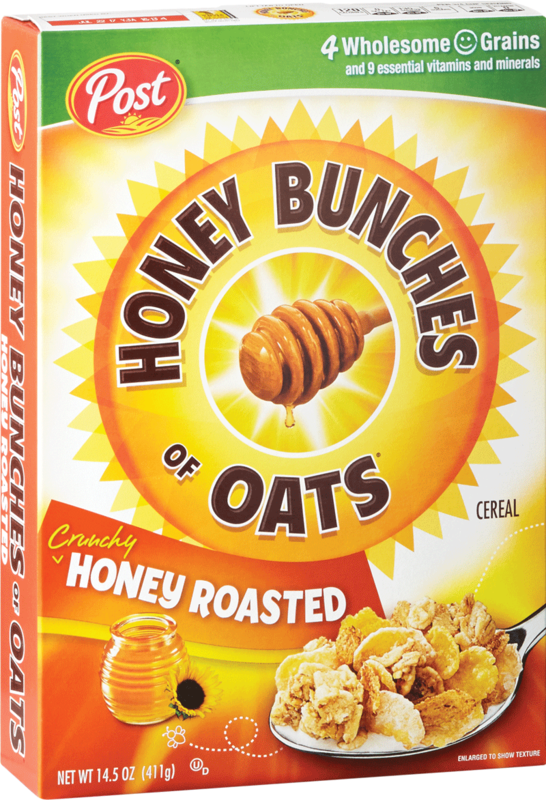 Combining our most popular flavor and two thirds of your daily allotment of whole grains*, Honey Bunches of Oats® Whole Grain Almond has it all – and more – to keep you and your family fortified. 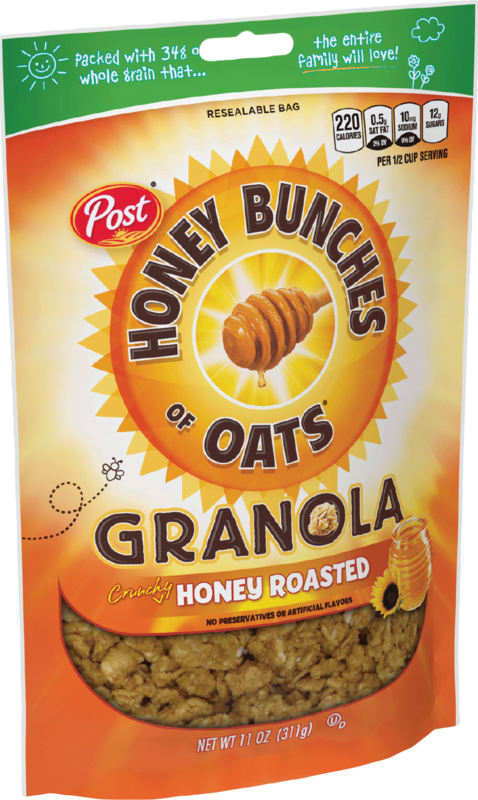 WHOLE GRAIN WHEAT, RICE, WHOLE GRAIN ROLLED OATS, SUGAR, BROWN SUGAR, ALMONDS, CANOLA OIL, CORN SYRUP, WHEAT FLOUR, MALTED BARLEY FLOUR, CORN MEAL, SALT, WHEY (FROM MILK), HONEY, CARAMEL COLOR, CINNAMON, NATURAL AND ARTIFICIAL FLAVOR. BHT ADDED TO PACKAGING MATERIAL TO PRESERVE PRODUCT FRESHNESS. REDUCED IRON, NIACINAMIDE, ZINC OXIDE (SOURCE OF ZINC), VITAMIN A PALMITATE, VITAMIN B6, RIBOFLAVIN (VITAMIN B2), THIAMIN MONONITRATE (VITAMIN B1), FOLIC ACID, VITAMIN D3, VITAMIN B12.